The Graphic Artists Guild promotes and protects its members and is committed to improving conditions for all graphic designers and the whole industry. They also produce the well known Graphic Artists Guild Handbook which is an essential part of any designers library. AIGA, the professional association for design is dedicated to protecting and advancing design and its importance to society. AIGA now represents more than 19,000 designers through national activities and local programs developed by more than 55 chapters and 200 student groups. Cut&Paste is a world wide live digital design tournament that goes on every year in multiple locations award prizes to the worlds best anonymous designers. This is a pretty famous site within the design community; you can generate dummy text on this site to put into your designs until the real copy is available. Alexa is a traffic ranking site that is widely used to research other sites. It’s not the most accurate tool but it has become common place and your Alexa rank is often a variable when determining advertising costs or site popularity. An incredibly useful site that shows you exactly how web fonts will look on your screen. This is the ultimate branding library with thousands of the worlds most famous and popular logos. Great for researching corporate identity. An easy way to weed out site and just find blog on the topics you are interested in. Digg.com is a great place for offbeat news and can be in indispensable weapon in your arsenal of traffic getting tools. You can submit well written articles to dig and if it is dugg a lot and becomes popular it can bring in a substantial amount of traffic to your website for free. Bloglines is a great way to organize all the blogs you read into one place instead of having to visit a bunch of different websites and is a good time saver. Arguably the best web browser out right now. I use it for most of my web browsing but don’t forget the other browsers when it comes to optimizing your website. Not everyone uses the same browser. This is my favorite email client to use. It’s simple, efficient, and easy to use with solid email alert features. Very handy if you get important emails often. Home to the well known design software we all know and love. Good site to check out once in a while for updates and help regarding software such as Photoshop and illustrator. Craigslist is one of my favorite forums to use. There are tons of new design jobs and gigs added every day but the competition is stiff so bring your “A” Game. If you are looking for an affordable but professional coder this is the place to go. Freelancers bid on projects you post. Facebook is growing incredibly fast and is a great way to network with other people and advertising your design services. Many professionals are moving to facebook over other social networking sites. Myspace has tons of potential when it comes to snagging freelance gigs or networking. They have a decently active classifieds section that you can use to market your work. Linkedin is a very popular site for professionals and is a valuable networking tool. Krop.com has a database of jobs for designers, artists, and developers with an instant and easy to use search feature. Corofloat.com is a site where you can promote and host your design portfolio, search for jobs and post to hire some one. This stock photography site has incredible photographers and even better prices for illustrations and photos. It will make your life way easier as a designer and has many other benefits such as making money selling your illustrations and photography, networking with other design professionals, promoting your portfolio site, access to active forums and much more! Corbis is one of the leading stock photography sites with millions of images online, featuring historical, fine art, business, technology, celebrity, travel, sports and nature photography. Shutter Shock is a subscription based stock photography site with over two million royalty-free stock photos available. 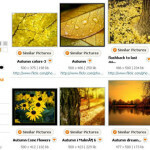 Big Stock Photo lets you upload and download low-cost digital stock photography. They have well over a million photos organized into categories. Getty Images offers a large searchable collection of rights-managed or royalty-free images and films. Getty Images is a great site if you are looking for current event and public figure related photography. Kuler is a useful site to go to find color themes for your projects. 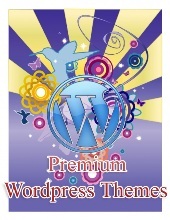 Users can submit their own themes to be rated and you can search for many type of color themes. Colour Lovers is a great site with user submitted color palettes and even cooler is their blog that creates color palettes based on each blog posts at the end of every post. Nice chart that converts PMS colors to CMYK and RGB color codes for you. This extremely useful but simple web safe color chart lets you easily see exactly how different colors will look on your screen. CSS Beauty provides its users with a database of well designed CSS designed sites, as well as news and happenings related to the CSS Community. The cool hunter looks for the coolest and craziest stuff from around the world. Be sure to check out the design and art sections on the site. The Logo Pond is a great site to go to if you are looking for inspiration while designing a logo. You can even submit your own logo designs to be voted on and reviewed. Good way to get exposure for your studio or freelancing portfolio. The Web 2.0 Design style is the big thing right now and many websites are redesigning their look to get with the times. This awesome site has a massive collection of all the new web 2.0 logos and links the websites. CSS Vault has a collection of spectacular CSS websites and resources including: Articles, Demos, Layouts, Tutorials, and more. After selecting topics of interest you can stumble upon quality sites related to those topics. I have found countless amazing sites doing this and not only is it great for finding new sites but it can be a killer way to promote and drive traffic to your own portfolio site or blog. Altpic.com is a great portfolio website for artists and designers where many people come searching for the best oif the best. It is a great place to showcase your designs and talent. Portfolios.com is a portfolio search site where viewers can easily browse through thousands of free artist and designer portfolios. DeviantART is a large community of artists and designers who share their work with each other via an online portfolio. Many digital artists and illustrator flock to this site and you can even buy prints of your favorite artwork. PRINT magazine is a very famous bimonthly magazine about visual culture and design. HOW Magazine covers many areas of design such as the business aspect, new technologies, up and coming designers and is a place for creative inspiration. I.D. magazine is an International design magazine that covers products, graphics, environments, interactive media and other design related areas. Computer Arts is an informative site with free downloads, tutorials, galleries, competitions, a published magazine and much more. MacLife.com provides news and analysis of the popular Apple products and also has daily blogs from Mac Life magazine editors and a nice selection of articles to read. This magazine is definitely handy for any designer. The hardware we use is the back bone of most of our work and PC Magazine has solid reviews of the leading equipment. I always look up products on their website before I buy anything. PC World is a great place for Computer and Internet news and information, Resources, how-tos, downloads, products and more. Dafont is an easy to use free font site with a large collection of fonts to download it. It has been around a while and is updated often with new fonts. Urban Fonts is new to the font world but has quickly established itself as a leader in the free font community. It has an excellent design and is right up there with dafont.com in my book. Font Shop offers great font collections on CD, free fonts, downloadable fonts, typography tips and more. Linotype has a massive collection of the most popular and well known fonts available for download. They also have a font lounge with many interesting font related resources.